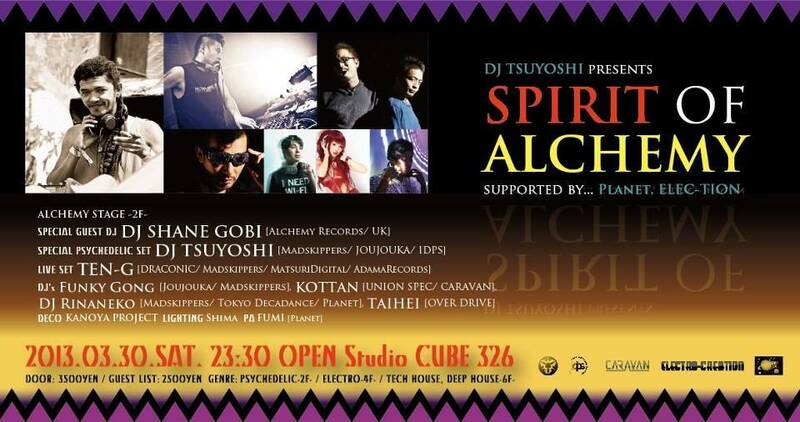 初となる今回はAlchemy Recordsのレーベルマネージャー【 DJ SHANE GOBI 】が4年半振りにSpecial Guestとして再来日!! ▼Customers must be over of 20 years of age. Please bring valid ID. Security check will be made at the entrance - No drinks, food, weapons or illegal substances may be brought into the site. We are not responsible for any accidents. Customers exhibiting disturbing behavior will be asked to leave the premises. rs exhibiting disturbing behavior will be asked to leave the premises.